Netflix CEO Reed Hastings also announced the season two renewal of Kingdom series which follows the mysterious death of a King and development of a strange plague and will stream globally on January 25. Netflix has announced 17 new originals series for its Asian audience. 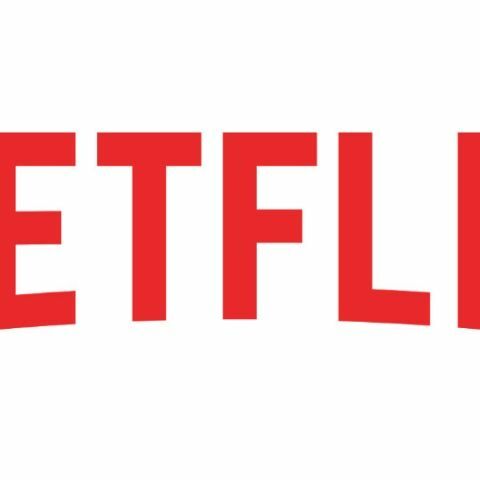 Apart from announcing new projects to expand its commitmnet to Asia, Netflix CEO Reed Hastings also announced the season two renewal of Kingdom series which follows the mysterious death of a King and development of a strange plague and will stream globally on January 25. Netflix marked its growing commitment to connect people around the world with Asian entertainment today at its first-ever content showcase in the region, “See What’s Next: Asia.” Netflix CEO Reed Hastings and Chief Content Officer Ted Sarandos, as well as performers and creators from Netflix series and films, unveiled 17 new Asian original productions from Japan, Taiwan, Thailand, India and South Korea. These projects join 100 new and returning originals across eight countries in Asia through 2019 as Netflix increases its investment in Asian storytellers, amplifying their voices to the world. The announcements build on the momentum created by some of Netflix’s first forays into Asian storytelling released this year. Titles like crime thriller Sacred Games (India), anime series DEVILMAN crybaby (Japan) and variety comedy BUSTED! (Korea) have captivated Netflix members in 190 countries around the world. The titles announced today will join a rich library of Asian, Hollywood and international content on Netflix that’s matched to members’ personal tastes -- in whichever language they prefer and devices they’re watching on, all without commercials or commitments. Busted! Showrunner Chang Hyukjae announced Lee Seung-gi, from A Korean Odyssey, will be joining the season 2 cast. Pacific Rim. Returning to the epic battle of Kaiju and Jaegers, this original anime series will expand upon the story of the first two live action movies and follow two siblings - an idealistic teenage boy and his naïve younger sister - who are forced to pilot an abandoned Jaeger across a hostile landscape in a desperate attempt to find their missing parents. Co-showrunners: Craig Kyle (Thor: Ragnarok) and Greg Johnson (X-Men: Evolution). Production Company: Legendary Entertainment (Kong: Skull Island; Pokemon: Detective Pikachu). Altered Carbon. This anime feature, set in the same universe of the Netflix live-action sci-fi series (second season in production from Skydance Television), will explore new elements of the story mythology. Writer: Dai Sato (Cowboy Bebop, Samurai Champloo) and Tsukasa Kondo. Animation Studio: Anima. Cagaster of an Insect Cage. Set in a post-apocalyptic world where a mysterious disease “Cagaster” turns people into giant murderous insects, this manga-based series follows the struggle of a young couple to stay alive. Directed By Koichi Chigira (Last Exile, Full Metal Panic!). Animation Studio: Gonzo (Hellsing, Afro Samurai). Yasuke. In a war-torn feudal Japan of mechs and magic, a retired ronin must take up his sword when he is charged with the task of transporting a mysterious child who dark forces want to eliminate. Created & Directed by LeSean Thomas (The Boondocks, Cannon Busters), who is also serving as Executive Producer. Grammy nominee Flying Lotus will compose the music and be an Executive Producer on the show. Lakeith Stanfield (Atlanta, Sorry to Bother You) will be the voice of the protagonist “Yasuke” (based on the historical samurai of African origin who fought with Oda Nobunaga). Animation Studio: MAPPA (Yuri On Ice, Kakegurui). Trese. Set in a Manila where the mythical creatures of Philippine folklore live in hiding amongst humans, Alexandra Trese finds herself going head to head with a criminal underworld comprised of malevolent supernatural beings. This anime series is based on the Philippine graphic novel by the same name, created by Budjette Tan and Kajo Baldissimo. Executive Producer: Jay Oliva (Wonder Woman, The Legend of Korra). Produced By: Shanty Harmayn and Tanya Yuson at BASE Entertainment, a studio based in Jakarta and Singapore. To close out the first day of the event, CEO Reed Hastings announced the season two renewal of Kingdom. The series follows the mysterious death of a King and development of a strange plague and will stream globally on January 25th.